The overall design of the Open Arms Ring mirrors the bride's passion for life and her sophisticated, classic style. 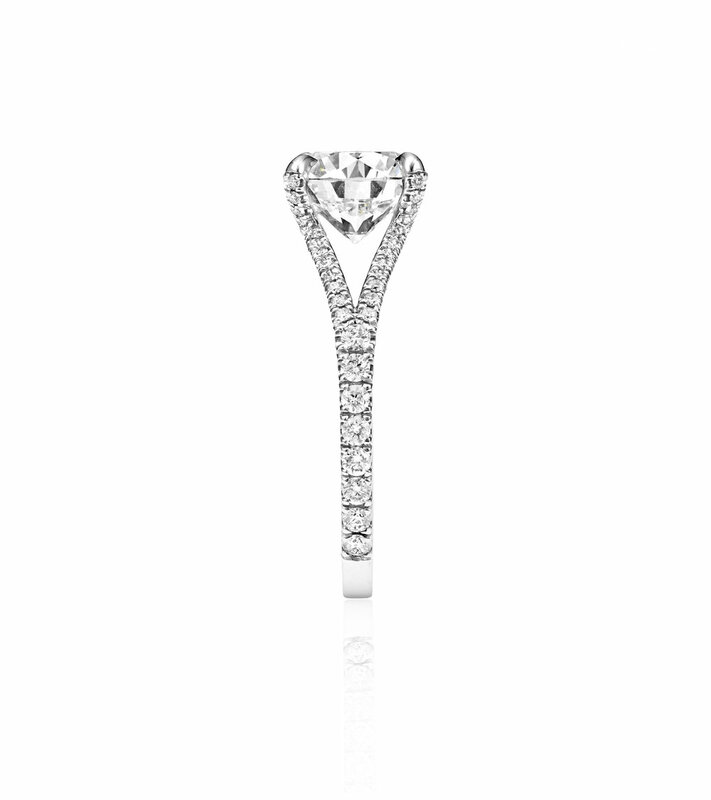 The round diamond was chosen for its timelessness, and the split-shank shoulders were carefully crafted to reflect her unique and fun spirit. 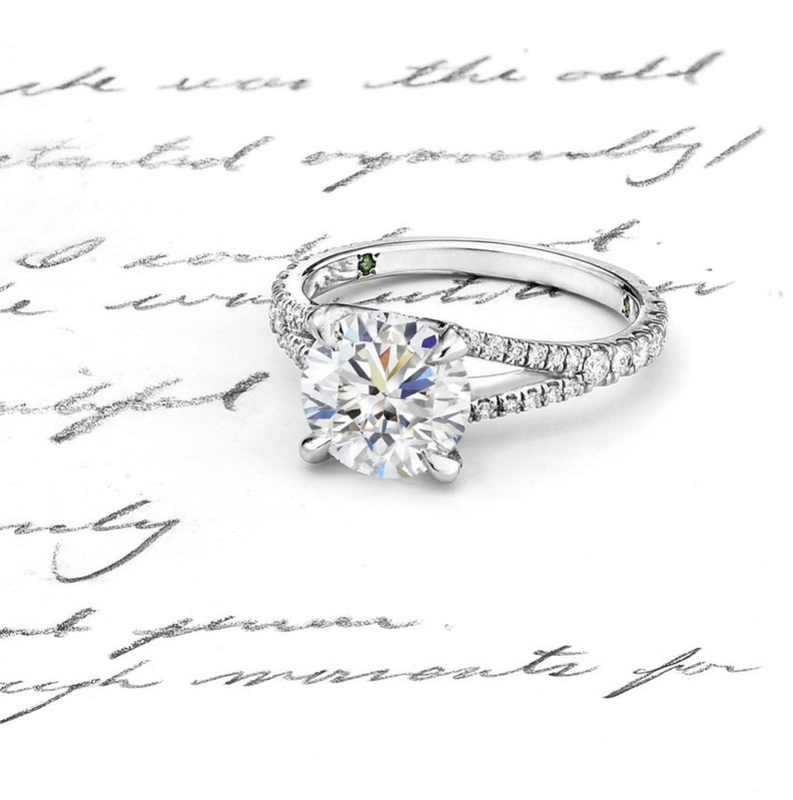 His number one request was to design a ring that mimics her "ready to embrace the world" pose — to create something that captures their adventurous story. 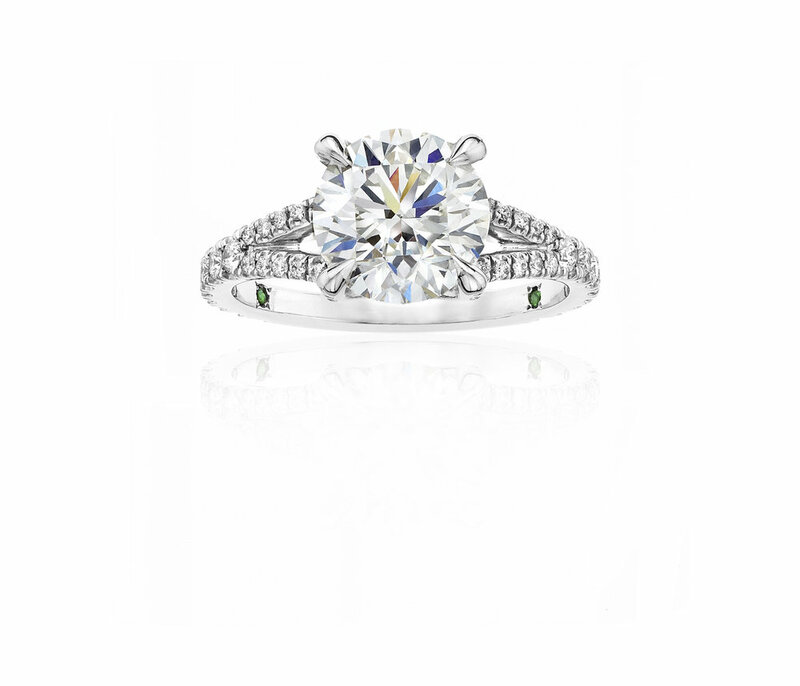 The split-shank of the ring is inspired by her outstretched arms, with the diamond hovering in the center. The Open Arms Ring features a round brilliant-cut diamond and smaller round diamonds set in platinum.